A complete starter package costs only $2,539. Review our complete list of factory-direct Internet pricing. 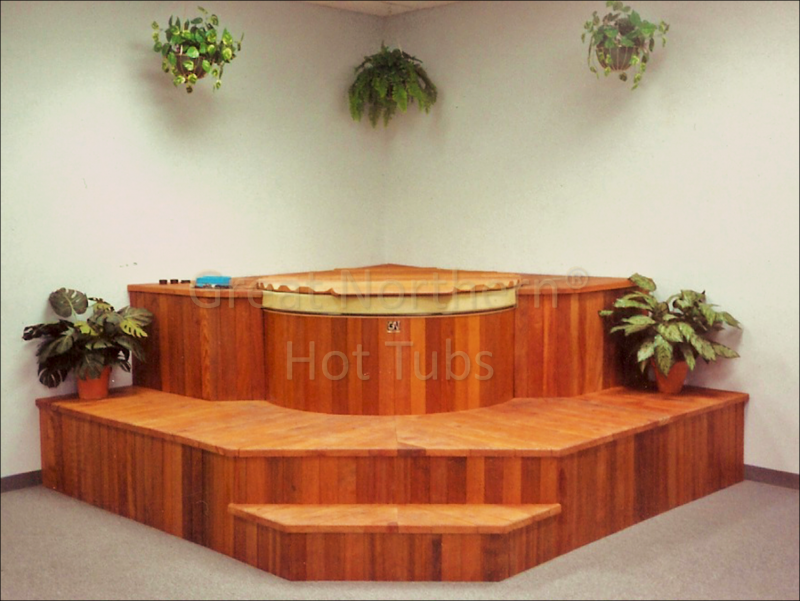 This Great Northern hot tub is free-standing, surrounded by a modular desk and step system. The entire tub/deck structure can be disassembled and moved to another location.